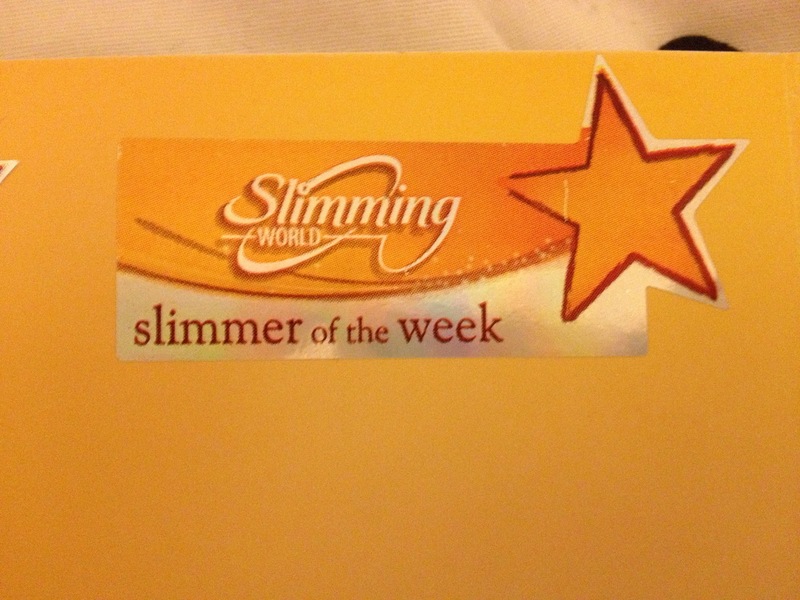 Week seven's weigh in came as a total surprise to me, to be completely honest... -6.5lbs!! 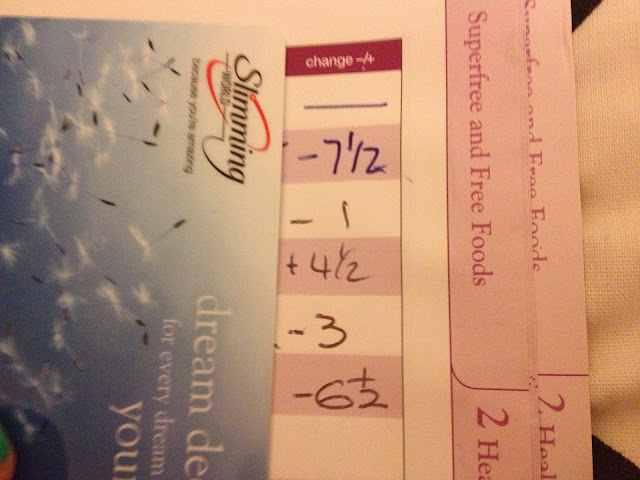 Baring in mind this weigh in was coming off the back of Easter most of the people in the group had seen themselves gain a pound or two, but here I am with almost half a stone loss in 9 days. I absolutely love slimming world! Over the Easter bank holiday I spent time with J and I inevitably caved in to some treats. I'm of the belief that you can't deny yourself something otherwise you end up binging on the lot, so I stuck to the 'little bit of what you fancy does you good' ethos and munched on chinese takeaway (chicken chow mein specifically - which didn't entirely agree with me), Cadbury chocolate buttons, cookies, bacon sandwiches etc - the lot. So I have to hold my hand up and say that I have no idea where this loss has come from, but I am glad I was slightly disciplined and didn't gorge and pig out like I'd used to do. Once the bank holiday was over and he had left me I was straight back on to it though, filling up on stir fry, wheatabix, fruit and salads - all of the super yummy free food Slimming World let you eat in unlimited quantities. As a result of this week's loss I was pleasantly surprised to find myself as 'Slimmer of the Week' :D I got another shiny sticker to put on the back of my book to keep my 1/2 stone one company, a fridge magnet and a certificate - hurrah! I also hit my first -10lbs milestone and rewarded myself with a rather expensive, but brilliant foundation, Chanel's Vitalumière Aqua. I'm going to pop up a little post about that soon. My next milestone reward will come in 7lbs time, and by then I'll have lost 20lbs. So plans for this week are to stick at the plan, fill up on free foods and learn to like bananas again. As ever, wish me luck! Yes, if it's something you really really want then you'll make sure you get it! This works well for me with makeup haha. well done hun you're doing so well! I need to start being a bit healthier. Gonna shift this cold then go for it! I can't wait to get back to a healthy routine once home from travelling! Ooo travelling's fun! Where have you been?